LNT jumped on the bandwagon in 2015. 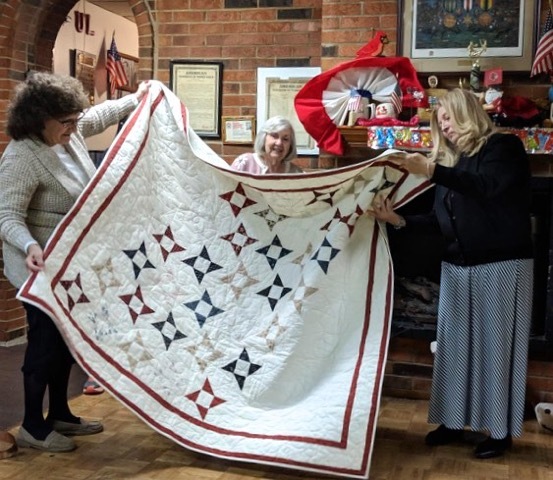 Our participation has continued as an annual project with the quilt being pieced at the June daytime meeting, quilted at the July Quilt-a-Thon , bound by generous volunteers and presented to a worthy recipient with a ceremony at Amvets Post 9 on Shelby Street. It was an honor to present three quilts in 2018. 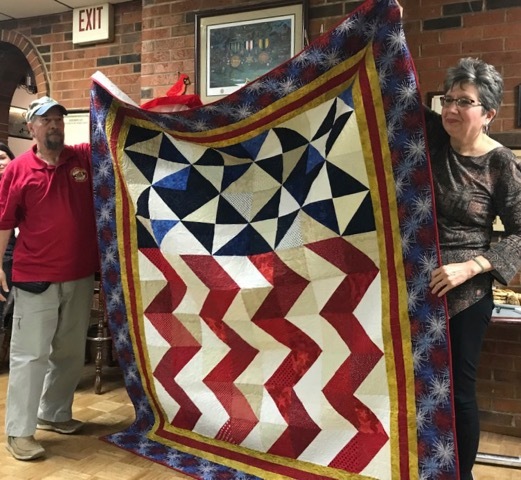 Marilou made a QOV for her son and all members participated in making quilts for two other veterans.